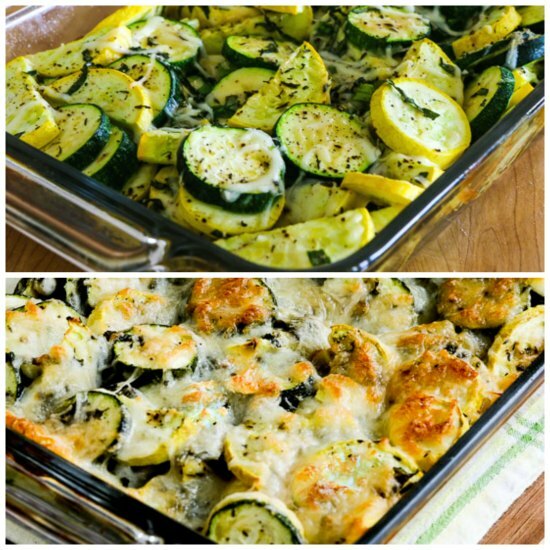 You’ll love this Low-Carb Easy Cheesy Zucchini Bake which is the #1 recipe of all the Top Ten Most Popular Low-Carb Zucchini Recipes on Kalyn’s Kitchen! And for those who care about such things, this tasty recipe is low-carb, Keto, low-glycemic, gluten-free, meatless, and South Beach Diet friendly; use the Diet-Type Index to find more recipes like this one ! This is very basic idea of tossing zucchini with a few fresh and dried herbs and cheese and then baking it can produce a dish that’s so delicious. Preheat oven to 350F/180C. Spray an 8″ x 8″ or 8″ x 11″ baking dish with olive oil or non-stick spray. (I originally used the small size, but now I prefer a slightly bigger dish.) Wash the squash and cut in slices or half-moon slices. Wash basil, spin dry or dry with paper towels and finely chop or slice. (I used a mini salad spinner to dry the basil and Herb Scissors to cut into thin slices.) Slice green onions. 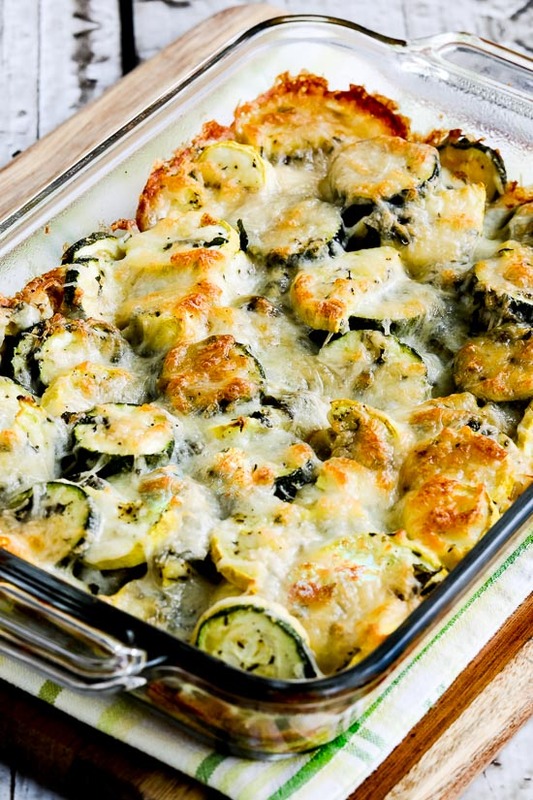 When the zucchini is nearly cooked through, take the casserole dish out of the oven and sprinkle over the remaining 1/2 cup of grated mozzarella, plus a little more Parmesan if desired. 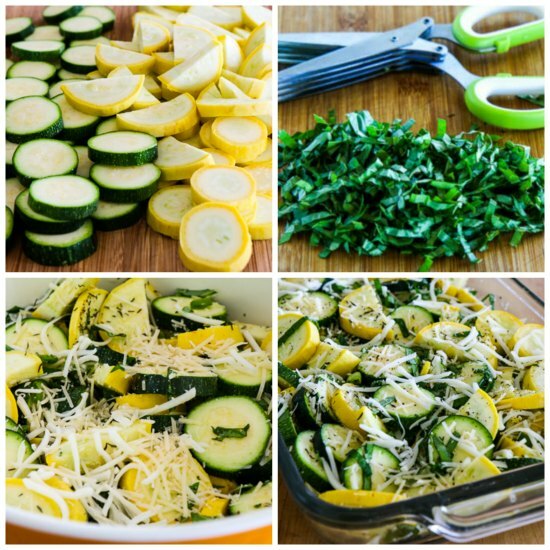 Put the dish back in the oven and bake 10-15 minutes longer, or until the cheese is melted and nicely browned and zucchini is fully cooked. Serve hot.